There has been a flight of populations from the countryside to urban centres during the past century. The twin attractions of big cities – mass industrialisation and easy access to jobs – have taken their toll on rural existence. Many architectural gems in these country towns and villages – and the lifestyles that they represnted – are being forgotten and cast aside, as time and technology speed past them toward a new, urban future. Geographical differences have always brought irreplaceable creative variation to art and architecture; a source of inspiration for current and future generations. As cultures and society homogenise, retaining, and not just conserving, Europe’s diverse industrial and agricultural heritage becomes ever increasingly important. The above article offers a nice, rather British, view of an old continental problem. Compared to the past, the situation has improved a lot following the advent of the Internet and UMTS. In Europe, like in the U.S., small and remote towns and villages became livable for home workers, digital natives and retirees. Internet shopping and courier services brought city conveniences to the countryside. However, in southern Europe, the charm of rural life has its limits. Most candidates for moving to shrinking or abandoned settlements are usually retirees. For them, medical services are vital which are poor or missing in remote areas. After a few years of exciting bucolic life they are often for health reasons forced to move back to "civilization". Another problem of rural areas in the deep South is crime. Local mafias will prey on any newcomer, foreigner or co-national, and demand protection money, "pizzo". When returning to your home from a few days' trip can mean that it has been thoroughly emptied -- even water faucets and light switches gone. Under such circumstances, even being given a house for free is a bad deal. 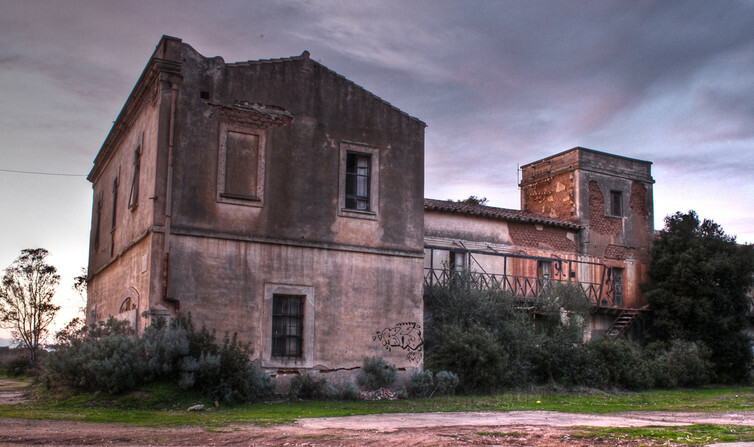 Unless countries such as Italy and Spain manage to establish the rule of law in their countryside it is best for any stranger -- and especially a foreigner -- to admire the rotting old villages but to stay out, unless he or she is willing to pay pizzo for living in camping style without the alienable trappings of civilization, lacking adequate health care.